POPULAR soft play café Rimandos has closed its doors after seven years of entertaining babies and young children. The venue on Gloucester Road was visited by more than 10,000 children while it was running, and hosted over 1,000 birthday parties. But owner Kerrie Criscione, who ran the business with sister-in-law Jo Criscione, said her own family commitments meant the café needed to close. Sons Riccardo and Armando, after whom the business was named, need more hands-on parenting after school and at weekends now they’re nine and 11 years old. Kerrie, 36, from Henleaze, said: “They were having to spend school holidays and weekends stuck behind the counter at Rimandos, and it wasn’t fair on them.t was different when they were younger and wanted to use the soft play. We’d slowed down over the past year, no longer opening on Sundays and closing earlier some days, but it still meant I always had to rely on other parents to take them to birthday parties and I couldn’t watch them play football at the weekend. Kerrie and Jo, 51, set up the business when Kerrie’s youngest son was just two, after finding nowhere suitable to catch up with friends over a coffee while the children played. Kerrie and husband Pietro own the premises and found them difficult to lease to another business at the bottom of the economic downturn, so decided to see whether a soft play business would take off. 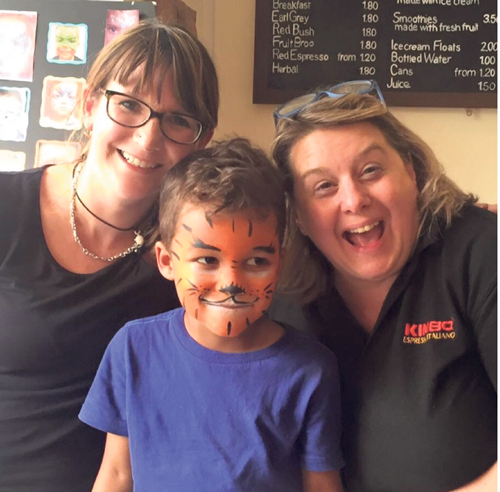 Over the years Kerrie and Jo have seen children who started coming as babies grow up, and one of the final parties was a sixth birthday party for a child who had celebrated every birthday there since he was born. Rimandos closed its doors after its final birthday party on December 17, and the premises are now available for lease. Kerrie has taken up a term-time job at St Brendan’s sixth form, while Jo has a term-time job in the catering department at Colston’s School.